People think photography is a solo mission. That couldn't be further from the truth. It's a team sport. Everyone from the producer to the designer, hair and make-up stylists, set designers, lighting team, retouchers, photographers have to be on the same page. And even more so have to be for one another, and the greater vision of the shoot. It's a collaboration of personalities, artistry, and creativity. And I adore it. The collision of bridal and editorial is something I will always love. There's a softness, a femininity, a lightness to a bride that is unique. Combine that with a designer like Sarah Seven, and an incredible production team, and I just feel like the luckiest girl to get to be a part of the whole thing. 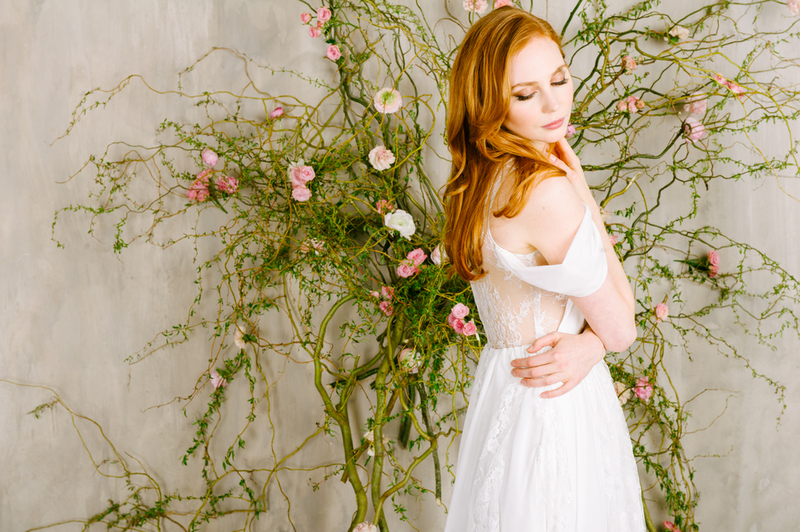 Here are a few shots from our studio editorial shoot for Sarah Seven's Romantic's Collection. My Team: Jen Trahan, David R., + Johannes O.